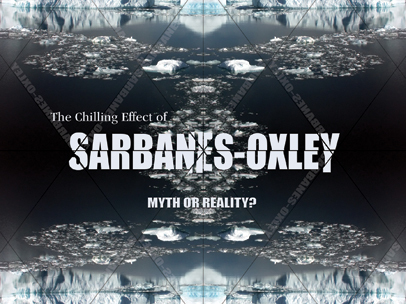 The Chilling Effect of SARBANES-OXLEY: Myth or Reality? When Congress passed the Sarbanes-Oxley Act of 2002 (SOX), apparently it gave little thought to its impact on start-ups and early-stage companies and their initial public offerings (IPO). The costs of complying with SOX led many to speculate that the law may inhibit companies from entering into the public markets to raise capital, or may cause companies that have been publicly traded to go private. The authors’ survey of technology entrepreneurs indicates that SOX may not be chilling entrepreneurship to the extent some had feared, but it also indicates that entrepreneurs need to become more familiar with the law’s provisions. Is Receiving Social Security Early Worth It? Could Sarbanes-Oxley Benefit Non–SEC-Registrant Audits?